Vostok Watch Russian Amphibian Classic 710059 can be purchased at official retailer of Vostok Watch-Makers Inc..
Vostok Watch Russian Amphibian Classic 120812 can be purchased at official retailer of Vostok Watch-Makers Inc..
Vostok Watch Russian Amphibian Classic 120512 can be purchased at official retailer of Vostok Watch-Makers Inc..
Vostok Watch Russian Amphibian Classic 100916 can be purchased at official retailer of Vostok Watch-Makers Inc..
Vostok Watch Russian Amphibian Classic 100059 can be purchased at official retailer of Vostok Watch-Makers Inc..
Vostok Watch Russian Amphibian Classic 090510M can be purchased at official retailer of Vostok Watch-Makers Inc..
Vostok Watch Russian Amphibian Classic 710615 can be purchased at official retailer of Vostok Watch-Makers Inc..
Vostok Watch Russian Amphibian Classic 670922 can be purchased at official retailer of Vostok Watch-Makers Inc..
Vostok Watch Russian Amphibian Classic 150349 can be purchased at official retailer of Vostok Watch-Makers Inc..
Vostok Watch Russian Amphibian Classic 120813 can be purchased at official retailer of Vostok Watch-Makers Inc..
Vostok Watch Russian Amphibian Classic 120811 can be purchased at official retailer of Vostok Watch-Makers Inc.. 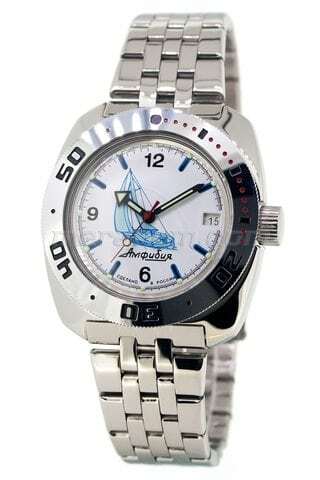 The first Amphibia watches were manufactured in 1967 in the USSR by Chistopol watch factory «Vostok». Professional seamen, divers and submariners gave their preference to Amphibia watches because of their simplicity and reliability. Non-failure operation on depth up to 200 m in conditions of significant temperature drops, in any excited environment – mechanical watches Amphibia stood extreme overloads and impacts. Those were the requirements of soviet government. 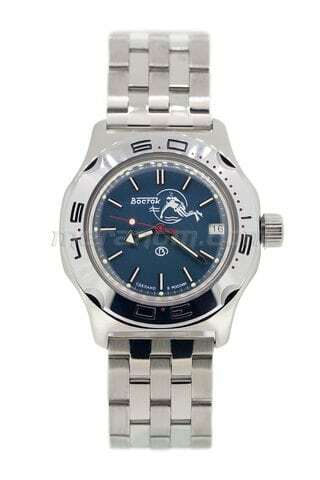 Under the order of the Navy of the USSR was made the military modification of Amphibia watches, and tests had passed during exercises of the fleet on the Northern Sea. The submarine had lain on a bottom on depth of 120-130 meters, simulating a failure. 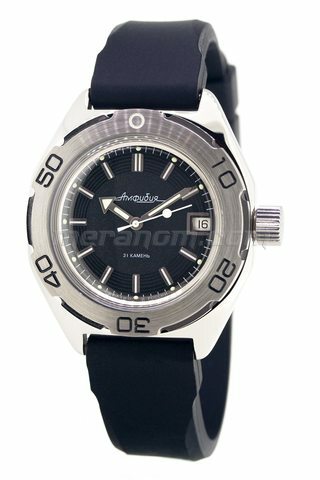 A brigade of the divers, who had taken part in rescue of people, was equipped with the new Amphibia watches while they were participating in rescue. Both, tests and exercises had passed successfully. 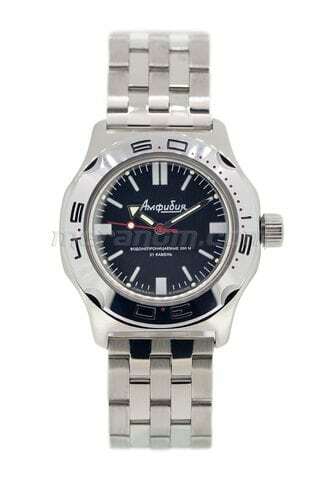 In 1975 Amphibia watches had been in the space by the spaceship Souz-17 and to the station Salute-4. 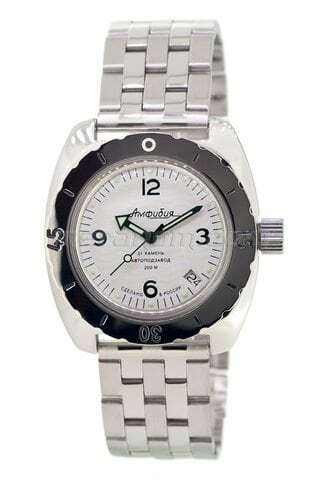 Amphibia watches were also tested by less exotic, but not less evident ways. They were run over the trucks, hammered, but they continued to show an exact time. 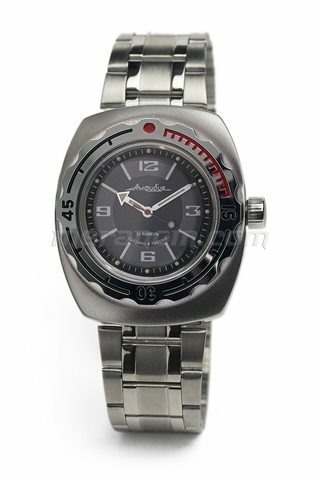 An accuracy of Amphibia watches is obliged to the Vostok movements, and reliability to the shock-proof device of balance unit which is a heart of mechanical watch. Organized in 1942, Chistopol watch factory «Vostok» continues to follow the traditions – all the in-house made movements based on so-called Swiss escapement system, steel wheels and forks, a support on ruby stones, a watch spring made of special precision alloys. 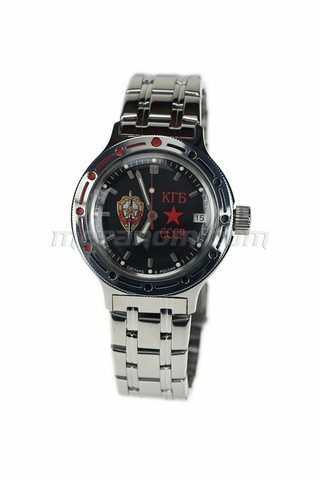 Having collected all world best experience of watch manufacture, Chistopol watch factory «Vostok» makes the items which can be called by right the true Russian watches.